Konark Sun Temple in Odisha is one of the oldest UNESCO World Heritage sites in India. Konark sun temple architecture follows the Kalinga style. Konark Sun Temple is built in the form of a huge chariot of the Sun God "Surya". The temple has 12 pairs of chariot wheels at both sides. An amazing fact is that each of the chariot wheel is a sun dial in itself. According to history, Konark temple was built by Narasimhadeva I of eastern Ganga dynasty. 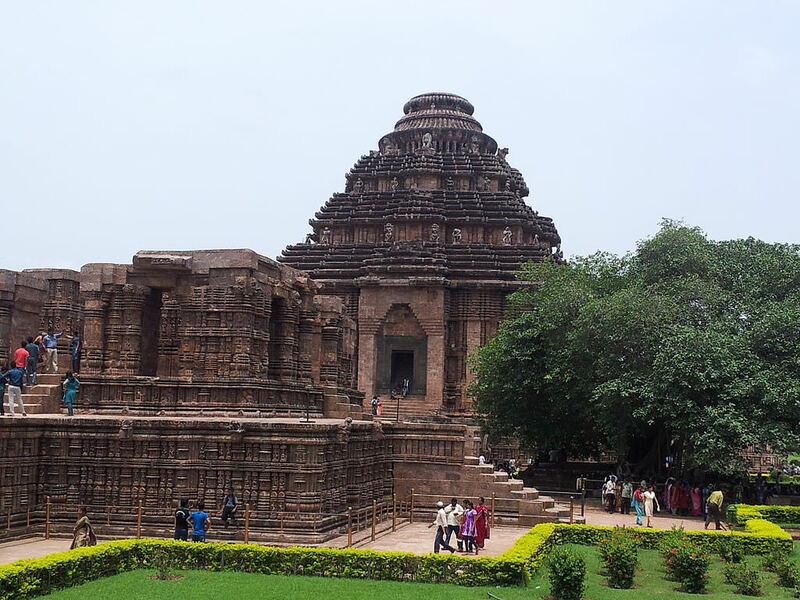 Konark sun temple was popularly called as the "Black Pagoda" by the European sailors. The Jagannath Temple in Puri was called the White Pagoda. The original architecture of Konark Sun Temple consists of a huge Vimana (Sanctum Sanatorium) which was 229feet in height. However it was collapsed around 1837. Still standing structures of the Konark Sun Temple are - the audience hall, which is also known as Jagamohana, dance hall (Nata Mandira) and dining hall (Bhoga Mandapa). There are many stories behind how the Vimana of Konark temple was fallen. One of the interesting theory is related to the Konark Sun Temple magnet. It is believed that there was a strong magnetic rod placed in Konark temple, and the Portuguese sailors removed it. 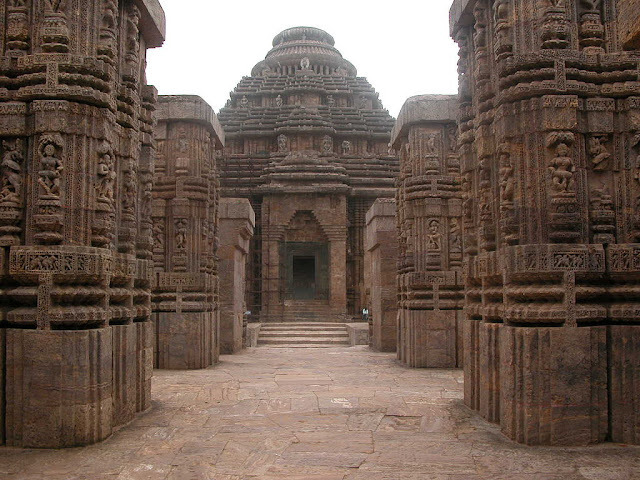 According to folklore, the magnetic rod of Konark kept the temple stable. Once it was gone, the Vinama of Kornark Temple collapsed. There is also an strange story about how the magnetic rod placed inside the temple. It is the story of Dharmapada - son of the chief architect of Konark Temple - Bisu Maharana. Konark temple took 12 years to complete, but the architects of Konark temple failed to place the crown stone on top of the structure. Kings was annoyed and threatened to kill all artisans if they did not find a solution. The 12 year old Dharmapada suggested to place a magnetic rod inside the temple, which would hold the iron laden stones of the temple. From Bhubaneswar to Konark, the distance is 66km . There are trains connection Bhubaneswar and all major cities in India From Puri to Konark, the distance is 38km. 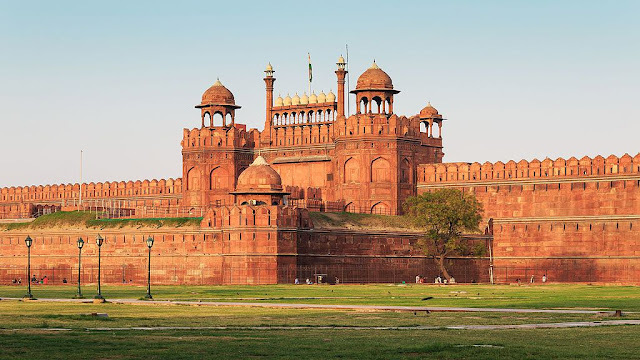 Red Fort Complex in Delhi was the center of Mughal dynasty from the time of Akbar. Red fort's construction was started by Shah Jahan in AD 1648. 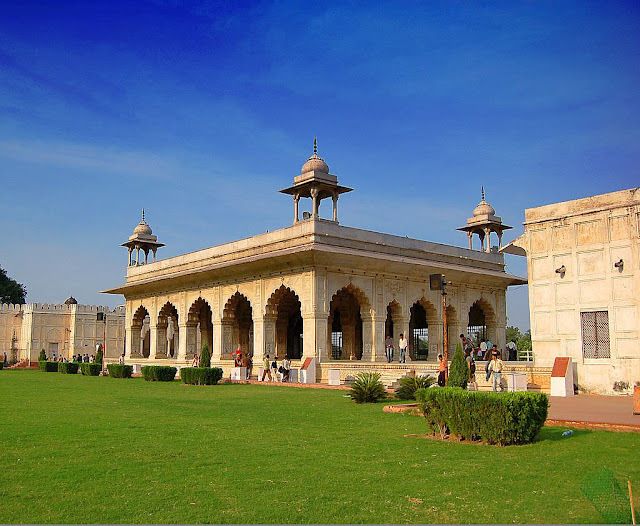 Red Fort complex is one of largest heritage sites in India. There are many important historical constructions in the Red Fort complex. 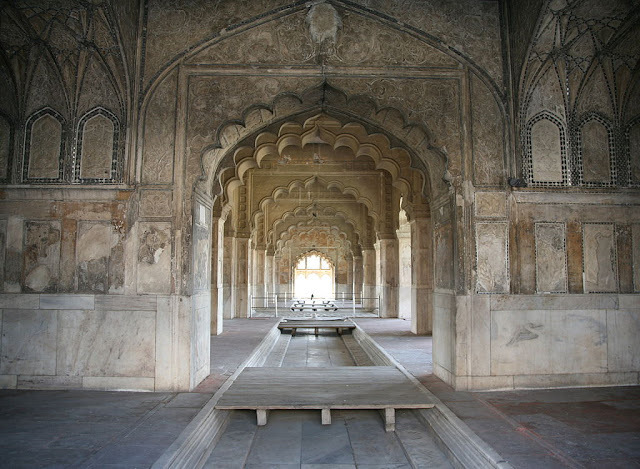 They include the Diwan-I-Am ( The hall of public audience), Diwan-I-Khas (The hall of private audience), Rang Mahal, Hira Mahal and Rang Mahal to name a few. The Red Fort was the seat of the Mughal emperor till 1857. 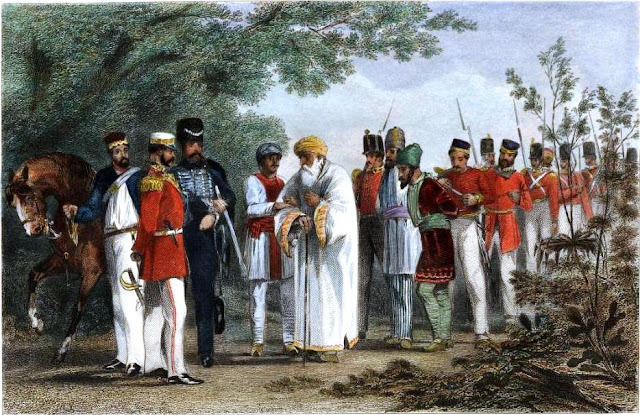 Until the last Mughal emperor Bahadur Shah II (Zafar) was expelled from power by the British following the 1857, Red Fort was the dwelling place of Mughal Kings, their consorts, concubines, and numerous relatives(known as Salatin). In the days it was constructed, Red Fort was an epitome of Mughal architecture. It was luxurious with silver and gold roofed palaces, walls fitted with mirrors and jewels. The fort also contained artifacts of immense value like the peacock throne and the famous diamond Ko-I-Noor. Unfortunately, the Red Fort had to face continuous looting and plunder from the enemies. The first such invasion was from the Persian emperor Nadir Shah, who defeated the Mughal and plundered the Red Fort so badly. Later during the first Indian Independence struggle, Red Fort was badly plundered and almost all valuable items were removed from it. Even though all it's riches gone, red fort stands as an invaluable historical monument for India. Great Himalayan National Park(GHNP) is located in the Kullu valley of Himachal Pradesh. It is a biodiversity hot spot as Great Himalayan National park have a wide range of flora and fauna. 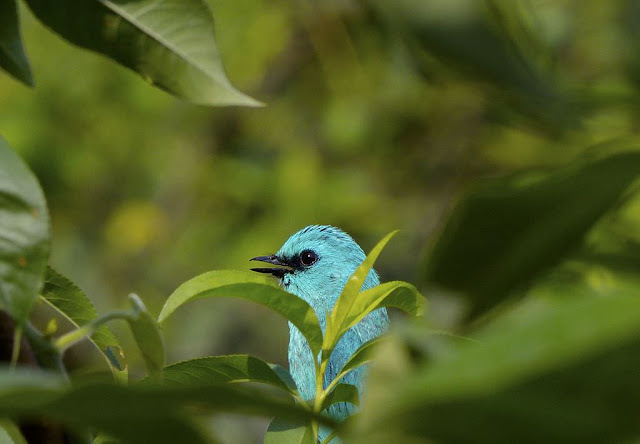 Himalayan National Park also include some of the rare birds and animals like Western Tragopan bird, Cheer Pheasant bird, Snow Leopard, Himalayan Musk Deer, Asiatic Black Bear, Himalayan Brown Bear, Himalayan Tahr, Blue Sheep and Serow. Some of these species are endangered . There are multiple trekking routes inside the Great Himalayan National Park. The trekking programs include a five day trekking through the Sainj River Valley covering 30km, and eight day trekking program including the Sainj-Tirthan Valleys. The Great Himalayan National Park also offers a moderate 3 day hike program from Gushaini to Shilt Hut. Please see this page to get the complete list of trekking programs by Great Himalayan National Park. There are four main valleys of Great Himalayan National Park they are Tirthan Valley, JiwaNal Valley, Parvati Valley and Sainj Valley. The Great Himalayan National Park was declared as a UNESCO would heritage site in india in 2014 considering the bio diversity and the delicate Eco system of the region. The Great Himalayan National Park can be reached by road from Delhi(500km) or Chandigarh(296km).Chandigarh is the closest main railway station to Great Himalayan National Park. Air Port at Bhuntar (Kullu) is located 63 kilometers from the park. There is limited facility for accommodation near the Great Himalayan National Park. There are some modest accommodations in Shakti village near the park. Also there is the Forest Rest House Sairopa 1 (3 rooms) and a Community Training & Tourist Center, Sairopa with a dormitory of 40 beds. However one should keep in mind that the facilities might be modest. Humayun's Tomb located on Mathura Road near Nizaamuddin in New Delhi. It is a colossal tomb built for the second Mughal emperor Humayun. Humayun's son, Akbar built this tomb for his father under the supervision of Humayuns wife Bega Begum. 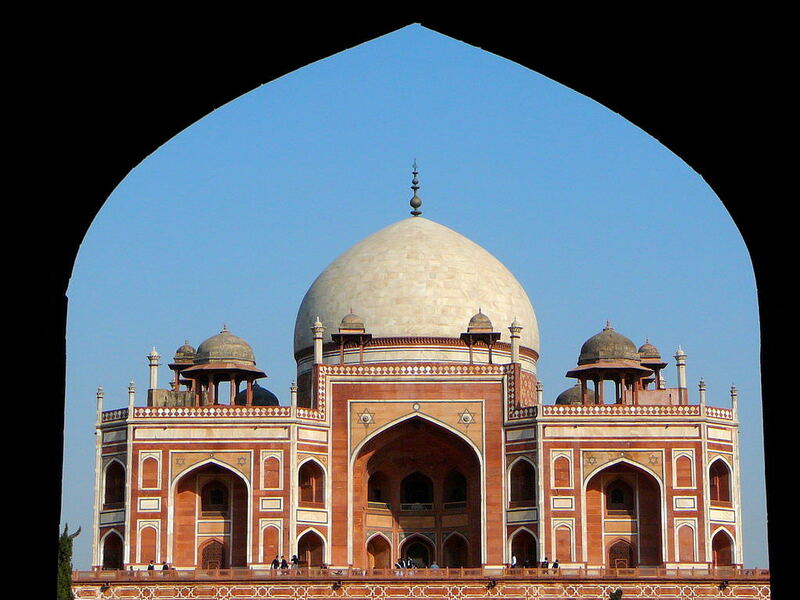 The Architecture of Humayun's tomb is a fine example of Islamic architecture with a characteristic domes and arches. It is quite interesting to know that Humayun's tomb is the first structure in India which uses a Persian double dome architecture. The major building material of Humayun's tomb is red sand stone and white marble. The architecture of Humayun's tomb incorporates these two building materials in a beautiful way. From the exterior, the tomb is symmetrical on both sides and pretty simple appearance. However the interior of Humayun's tomb has rich architectural features like eight two storied vaulted chambers and intricately stone carved windows known as jaalis. One of the Jaali of Humayun's tomb is veryspecial as it has a carving shows the Mihrab or a semi-circular niche, which denotes the direction of Mecca. Usually the Mihrab is placed in Islamic mosques so that devotees can use this direction to pray. Humayun's tomb also has the specialty that it is the first "Garden Tomb in India". Originally, it was located in the center of a beautiful garden known as Char Bhag. Apparently, Humayun's tomb is the inspiration for Taj Mahal! However if the Taj Mahal was built by a man in memory of his wife, Humayun's tomb was built by his beloved wife, Bega Begum in memory of her husband. 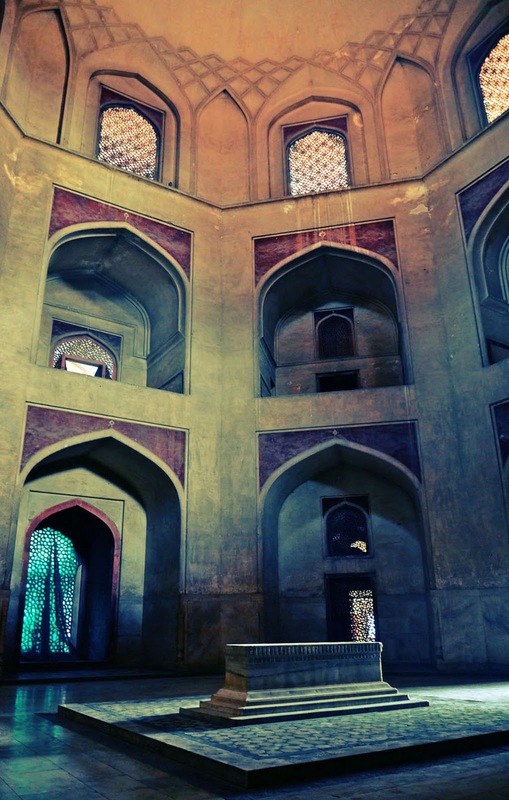 After Humayun's death, Bega Begum's sole ambition in life was to create a magnificent monument for her husband. The complex around Humayun's tomb also houses the tombs of so many Mughals that it is called the "Mughal Dormitory" (of course of the dead!). Historically the Humayun's tomb is a tragic place for the Mughals. It was at this spot, the last Mughal emperor Bahadur Shah 2 (Zafar) was arrested following the mutiny of 1857. It literally marked the end of Mughal dynasty in India! Archaeological survey of India carried out extensive conservation works at Humayun's tomb recently. It also includes covering the finial of Humayun's tomb with Gold! Also, in near feature India's first sunken museum would be constructed near the Humayun's tomb complex. The Aga Khan Trust for Culture (AKTC) is taking up the construction activities of the sunken museum at Humayun's tomb. The museum will be at 6-7 meters below the ground level. The sunken museum at Humayun's tomb takes inspiration from the famous step wells of India, known as Baolis. The great Stupa of Sanchi is one of the oldest existing heritage monument in India located near Bhopal in Madhya Pradesh state. Sanchi Stupa was built by emperor Ashoka the great. 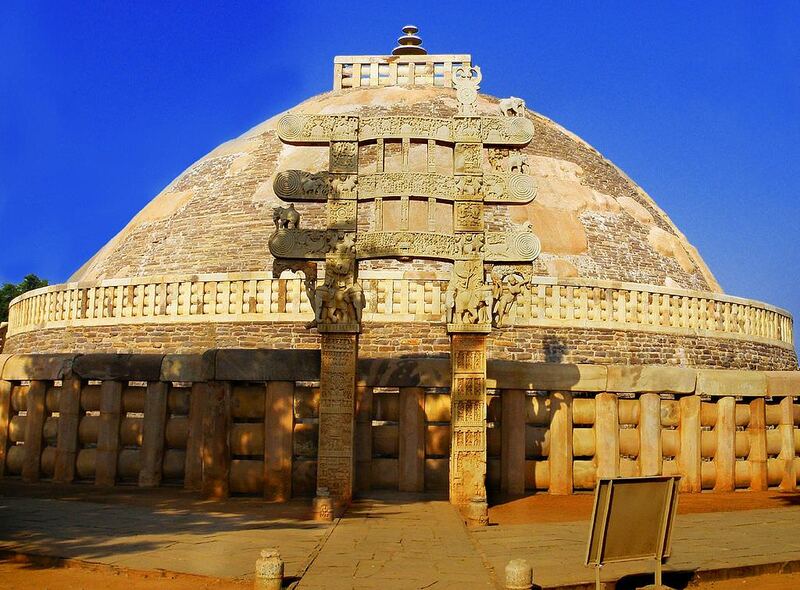 Architecture of Sanchi Stupa include two Dom shaped brick structures built on top of the relics of Shree Buddha. 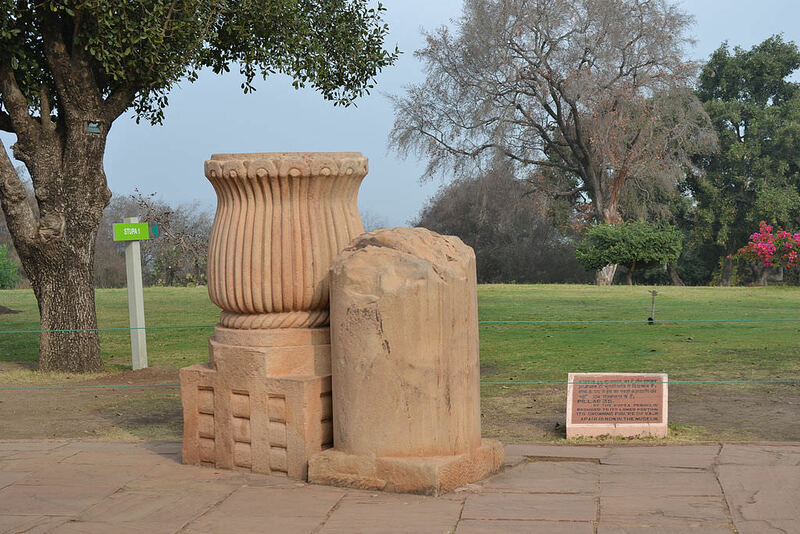 The construction of Sanchi Stupa happened during the 3rd century BC. It is indeed a wonder that Sanchi Stupa which is more than 2000 years old still stands intact with out any damage. Sanchi Stupa is also an indicator of the influence of Buddhism in ancient India. Construction of the great Sanchi Stupa and the gateways and balustrades were done in three time periods. During the Maurya rule, the construction started n in 3 Rd BC. Initially there was only a brick Stupa and a sandstone pillar built by Ashoka the Great. Later during the Sangha period the brick Stupa was covered by stone slabs. Another interesting construction around the Sanchi Stupa is the gateways on four sides. These gateways of Sanchi are elaborately carved and they depict the Jataka tales. The rich sculptures of the gateways also have many symbols denoting Shree Buddha. One is of the main sculptural symbol is the Maha Bodhi tree. The gateways of Sanchi Stupa was built during the Satavahana period. There are also many invaluable historical inscriptions on the Stupas. Sanchi railway station is also very close to the Sanchi Stupa location. The best time to visit Sanchi Stupa is from November to April. However, avoid peak summer season as it would be very hot. Sanchi stupa is open from sunrise to sun set all days, however the Sanchi Archeological Museum is open only from 10:00am to 5:00pm. The Sanchi Museum is closed on Fridays. Sundarbans is one of world's largest mangrove forest spread across India and Bangladesh. Majority of Sundarbans is in Bangladesh. The small portion of Sundarbans in India is converted into the Sundarbans National Park.Together in India and Bangladesh, total area of Sundarbans is 10,000 square kilometers. In India, Sundarbans tour is by the means of boats operated by West Bengal Tourism department. These boats take the tourist through the small springs and canals that runs inside the mangrove forest. 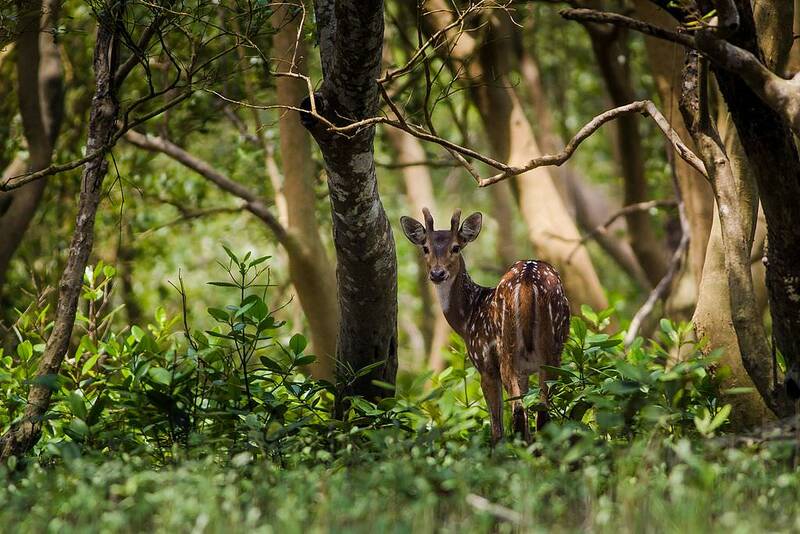 There are also multiple package tours conducted for Sundarbans. 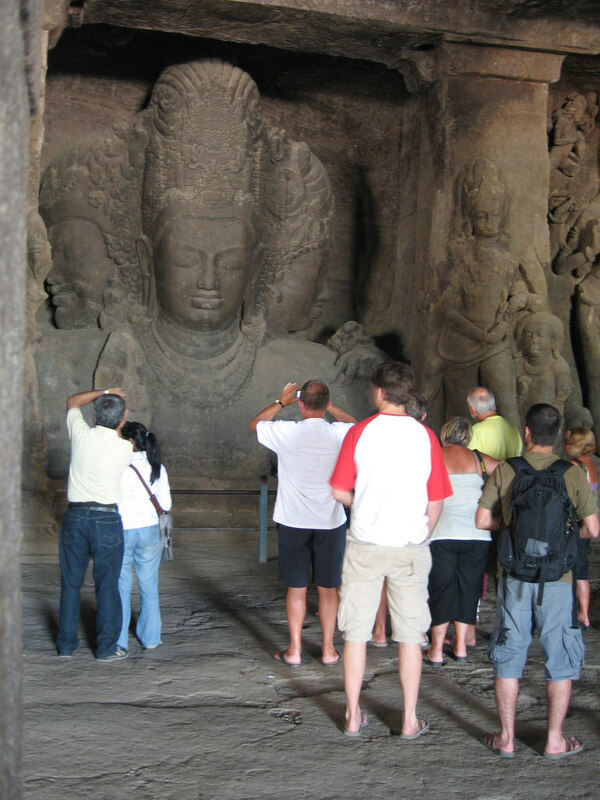 The Elephanta caves are located on a small island named Gharapuri near the Mumbai port. The name Gharapuri literally means the city of caves. There are several rock cult cave temples dedicated to Lord Shiva. They follow the Shaiva cult of Hinduism. It is not clearly known who built these massive temples in Elephenta Caves. 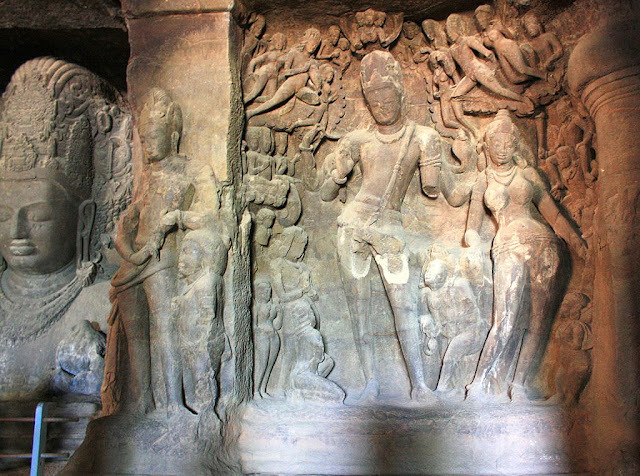 Mostly the construction of Elephanta caves are credited to Konkan Mayuras or early Chalukyas of Badami. The construction period of Elephanta caves is said to be between 6th and 8th century AD. The main attraction of the elephanta caves is the 6meter tall sculpture of "Thrimurthi" - The holy trinity of Hinduism. This is a massive rock cut sculpture located in the cave number 1 of Elephanta. It is quite curious to know how Elelphanta caves got it's strange name. 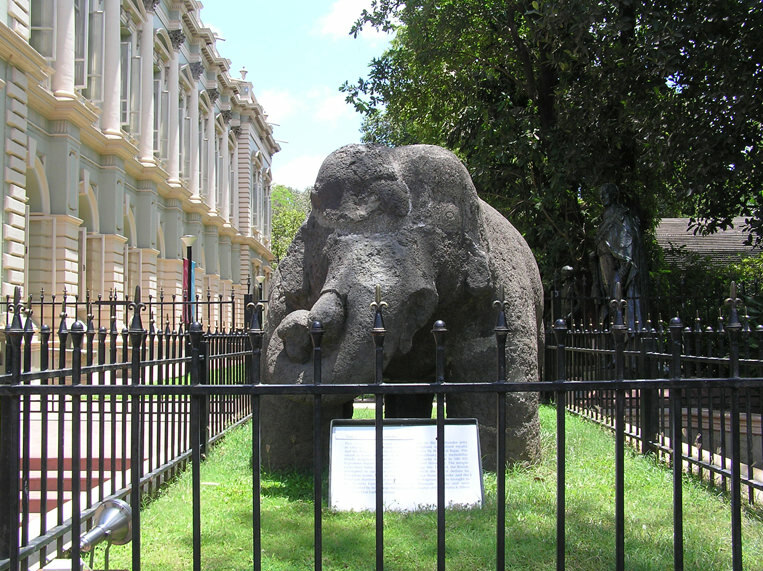 It is believed that the Portuguese after seeing a huge elephant sculpture near the caves named them as "Elephanta Caves". However the very elephant sculpture which gave it's name to Elephanta caves is no longer there. It is present in the Jijamata Udyaan in Byculla, Mumbai. Hence there is quite divided opinion about the architects of Elephanta caves. There is no historical inscription on the rocks or it was destroyed by the Portuguese. The locals believe that none other than Gods created and sculptured the caves! There is also another set of small caves which are attributed to Buddhism. The Elephanta caves were severely damaged during the Portuguese invasion in India which started in 1534. The Portuguese soldiers said do have practices their aim by shooting arrows at the sculpted there by defacing many of the sculptures and destroying the inscriptions. UNESCO declared Elephanta caves as a world heritage site in 1987. The main deity in the Hindu caves is Lord Shiva. Some of the famous sculptures are ,Kalyanasundaramurti, Shiva-Parvati on Kailash, Ardhanarishvara, Trimurti Gangadhara, Wedding of Shiva, Shiva slaying Andhaka etc..
How to reach Elephanta caves? There are regular ferry from the Appolo pier to Elephanta caves. Also there are boats going from the gateway of insight India. Elephanta caves are open on all days except Mondays. India is blessed with so many awesome heritage sites. I have always wanted to go to the Red Fort, and Konark Sun Temple looks amazing. In fact it all looks really amazing. Might have to go back some day. I want to see all of these sites now. I love the history you've included. Such great pics too! Great Pics and info. India has lot of historical place to see. Loved reading the post !! you really seem to be travelling a lot..
Hi, It’s really nice to visit on your Blog. We also provide Rajasthan Tour Packages at best price.